The fall is one of my favorite seasons. Primarily for the crispness in the air and the abundance of fresh local fruit and produce. 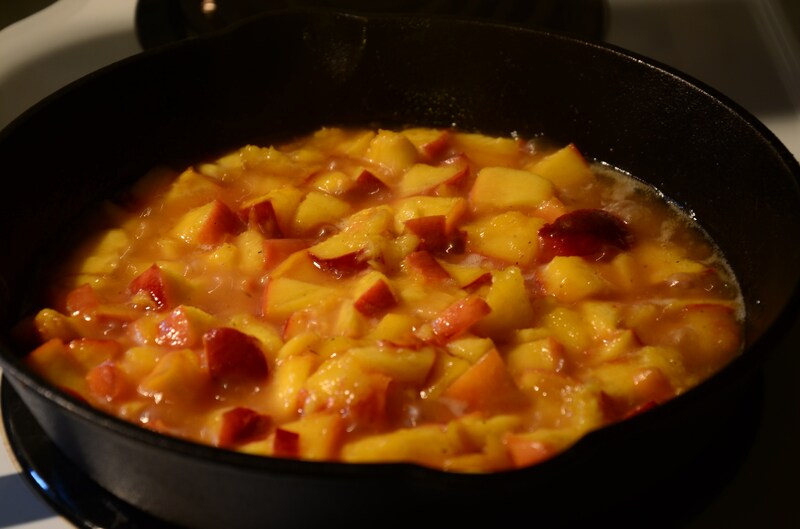 A big basket of fresh peaches often never goes to waste and this is a great recipe to use up those peaches that are starting to go soft. 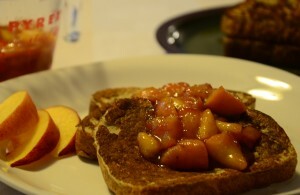 This is a fun, somewhat decedent brunch that impresses weekend guests or as a family treat. Add eggs, milk, banana, cinnamon and vanilla to a blender. Blend until smooth and transfer to large dish. Heat a lightly oiled frying pan over medium until hot. Dip bread into egg mixture and cook until done. In a separate pan, melt butter and add sugar. Once dissolved add peaches and cook over medium-low heat while the remainder of the french toast cooks. Serve warm on its own or with a dusting of icing sugar or topped with chopped walnuts. Enjoy!